Written by Sam Humphries. Art by Carlo Barberi and Matt Santorelli. Cover by Emanuela Lupacchino. 'LOST IN SPACE' part three! 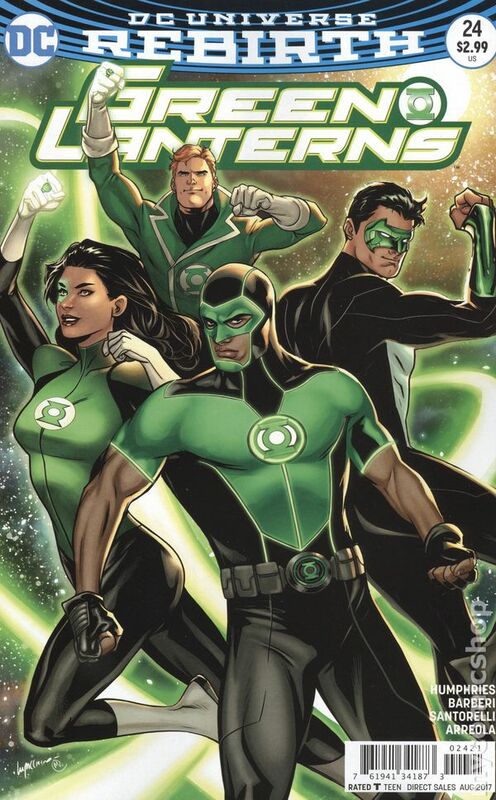 As their training on Mogo comes to an end, Jessica and Simon prepare to reunite and head back to sector 2814 and Earth, but the new partnership between the Green Lantern and Sinestro Corps may mean reassignment and new partners. 32 pages, full color. Rated T Cover price $2.99.